Cabinet PRO is a top rated custom cabinet and remodeling company in the Chicago Area, and has been in business for over 28 years. 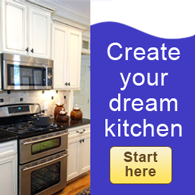 We specialize in complete kitchen and bathroom remodeling. As part of our remodeling services, we provide luxury custom cabinets and also offer expert cabinet refacing as an affordable alternative to cabinet replacement. Our extensive showroom in Northbrook will give you lots of ideas and inspiration. We take great pride in our ability to meet the requirements of our customers without the need to "break the bank". Choosing a company for your cabinetry or remodeling project can be stressful. Cabinet PRO will handle the entire job with its own crew of experienced installers making the entire project run smoothly. A satisfied customer is always our best form of advertising. Rob Casden is the President of Cabinet PRO and oversees all of the design work to ensure that every design meets the company's high standards of quality, performance and price. Rob has worked in the industry for over 25 years, and has seen just about everything from a design standpoint. If you can think of it, Rob has probably already installed it somewhere! Rob prefers to remain very hands-on in the business, and is involved with every project that Cabinet PRO has under contract. His attention to detail and passion for excellence are at the heart of the Cabinet PRO business success. Laura Castle is the chief designer at CabinetPRO. 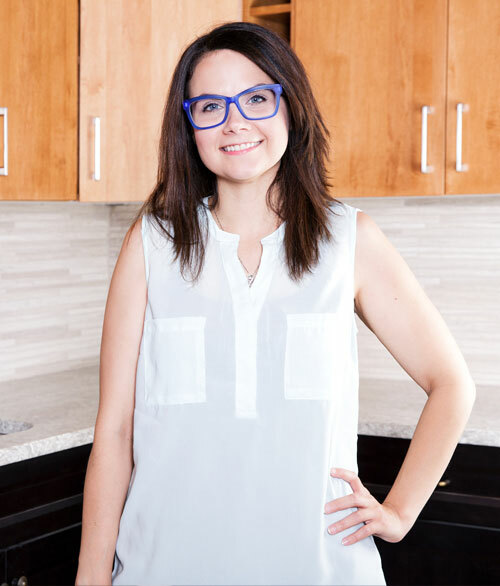 Laura holds a BA in Interior Architecture and Design from Columbia College and has been with CabinetPRO for over 7 years. Laura's prior work experiences included both commercial and residential interior design positions. Laura's love of cooking helps her to create kitchens that work well, both in form and in function. "The kitchen is the heart of the home - it's a place where people gather and where a great deal of time is spent. I want the kitchens and baths I design for my clients to be both beautiful and functional." Laura enjoys working in many different design styles from traditional to contemporary, and has a keen eye for detail and aesthetics. Our customers rave about Laura's design expertise and advice. Stop in today and let Laura help you with your next project! Anaclaire Wendt is a designer at CabinetPRO. Anaclaire holds a BA in Interior Design from The Illinois Institute of Art-Schaumburg. She has been with CabinetPRO for over 3 years. Anaclaire's prior work experiences included both high-end commercial and residential interior design positions. 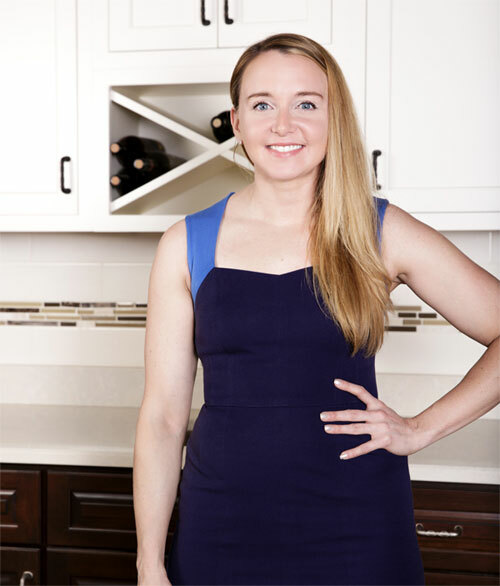 Anaclaire's love of space planning and puzzle solving helps her to create kitchens that utilize space to the fullest. "A kitchen remodeling project is an investment in both the value of your home and most importantly; the quality of your life! You can have a gorgeous, updated space that makes your life better, and the renovation process does not need to be a negative experience. I love helping clients invest in themselves and their family." Anaclaire looks for the creative solution in her work and is willing to look outside the box for the best and most creative angle. Customers appreciate her crisp vision, and thoughtful opinions and recommendations. Stop in today and let Anaclaire help you with your next project! Remodeling is always a big decision, so make the right choice by partnering with the company that offers you excellent value with guaranteed satisfaction. From timely and complete installations to high quality products, Cabinet PRO creates kitchens and baths that fit your lifestyle and budget. Design/CAD Floorplans: Talented designers on staff to assist you every step of the way. Cabinetry: Expert cabinet refacing and luxury custom cabinet installations. Countertops: Granite, marble, solid surface, engineered quartz and laminate countertop installation. Flooring: Solid pre-finished and unfinished hardwood floor installation, ceramic, porcelain, and natural tile installation, laminate and Pergo installation. Tiling: Expert tile installations of porcelain, ceramic, and natural stone tile. Electrical: Outlets, recessed lighting, undercabinet lighting and lighting fixtures. Plumbing Fixtures: We install all brands of plumbing fixtures and are an authorized dealer of most popular national brands of sinks and faucets. Carpentry: Drywall, trim, crown molding, wall removal, basement build outs.